I was told the above sentence by my co-worker during a conversation about music, and her husband’s similar behaviour also came up as example. No other statement has ever been truer than that – especially nowadays. Fact: the rock/emo/alternative scene was thriving 10 years ago. Now, we have a new generation of young music enthusiasts, who are growing up on the music of today, while also going back to the music of the past decades. What My Chemical Romance, pre-hiatus Fall Out Boy, original Panic! At The Disco, old-school Paramore, Green Day‘s ‘American Idiot‘, etc. were for us twenty-somethings, Halsey, Twenty One Pilots, and 5 Seconds of Summer are for today’s youth (they seem to be the issue namely), among others who fit more into the “criteria”. Lyrics is where alternativeness comes from in this case, and they are popping up everywhere online, so no one can deny their influence – that’s why magazines have to go with the flow even if the sound is more pop, in favour of actually selling copies. 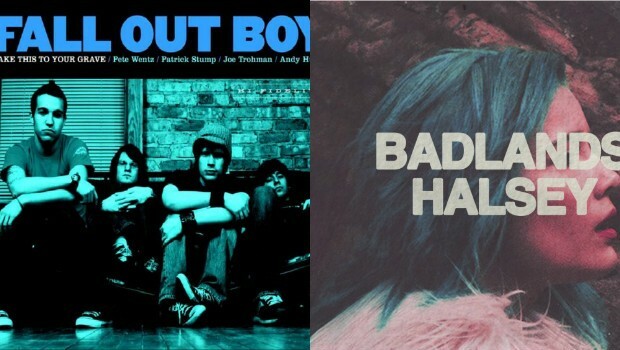 Paramore and FOB aren’t rock either yet still get coverage (Editor’s note: I still think Paramore are ‘rock’…). It’s all okay, until they keep giving publicity to smaller, up and coming rock bands as well. As I see it, The Scene as it is cannot be described with one genre only. If that were the case, I wouldn’t belong anywhere. Genres are overlapping each other on my playlists – I like old Bring Me The Horizon, but I also love the new sound. I can rock out to Beartooth or FIDLAR, but I also love fooling around to The 1975, or chilling out to CHVRCHES and Oh Wonder. I’m sure, many people are in the same situation. Influences do not come from just one place, especially for artists. This is why I rather have everything under one roof about what music is today for each individual, than divide subjects into separate groups based on the type of things they like. “Music is not about the scene but about what is heard” after all, as told by my dear friend and fellow writer, Tina Roumeliotis. I wish more people realized it.